Before consuming this product, shake the bottle well as some settling may have occurred. Drink the entire bottle over a 5-10 minute period. Urinate frequently to eliminate toxins. 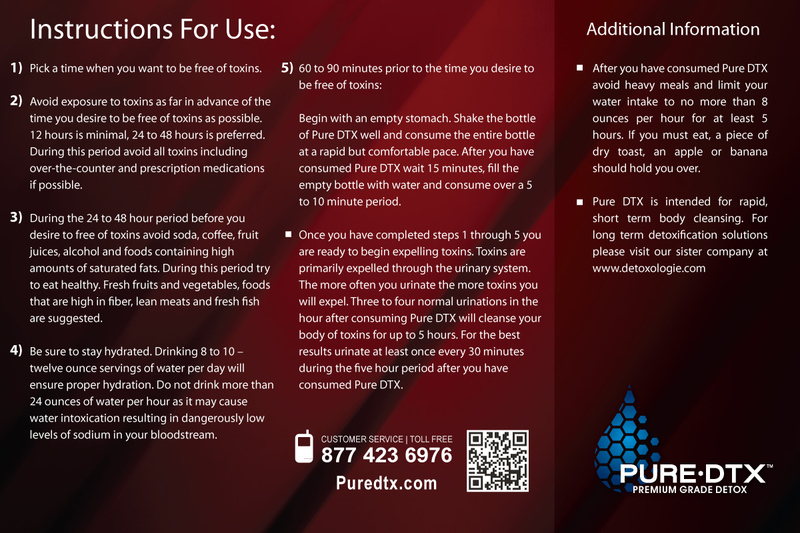 Pure Detox is most effective after 3 to 4 normal urinations.